Sometimes I show properties and buyers do not want to make an offer because the asking price is so much higher than they are willing to spend. Don't be afraid to make low offers. Today I closed on this house in Venetian Shores. It was originally listed at $1,395,000, after several months the price was reduced to 1,1 and thereafter to $989,000. The house sold for 810K today! This was not a distress sale! Following are the best deals in my opinion. 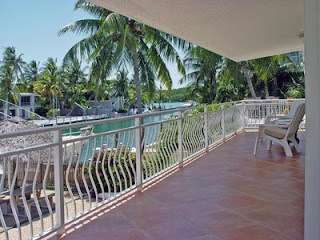 Venetian Shores is a beautiful neighborhood in Islamorada. The canals are 100ft wide and very deep (this is important if you have a large boat, a lot of canals in the Keys are too shallow to accomodate a large vessel or sailboat). It is also one of the most favored boating communities due to its immediate access to Bay AND Ocean (via Tavernier Creek). If you are considering a purchase in Venetian Shores; This is the time: there is a large inventory and many motivated sellers. Take advantage while comparable sales are those from a depressed market. Venetian Shores is a prime neighborhood in a choice area. As a primary or second home this neighborhood is a great investments. This just came on the market: a 2 bedroom, 2 bath ocean front condo in Seagulls for 250K. If you don't mind having to do work and can spend 700K; this is the one! A DIRECT bayfront property with a cut in canal with protected dockage. Sorry, I won't give out the link/adress on this property; if you are not working with another agent please call me at 305-393-0923 or e-mail me at Wiebkewestedt@aol.com and I'll provide you with more info.